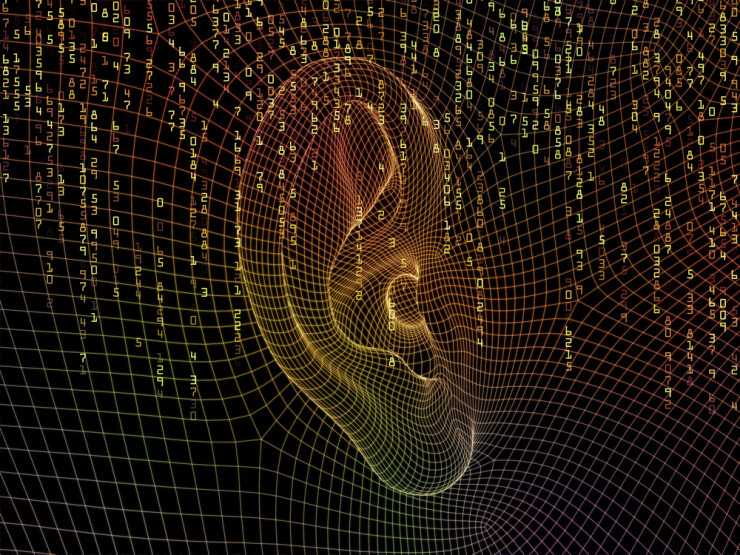 5 Bits of Future Hearing Technology | OhGizmo! The following article is written by Sophie Davidson in collaboration with Hidden Hearing. -Ed. Hearing aids have been around for centuries, but they weren’t always as high-tech and sophisticated as the ones now available. While horn-style devices were popular back in the 1800s, the first electrical hearing aid was created in 1898, which led to hybrid aids using combined digital and analogue circuitry being patented in 1977. Digital signal processing chips also revolutionised the hearing aid industry and these days you only have to visit a site like Hidden Hearing to see sleek inner ear models that offer those with hearing impairments a more discreet alternative. Currently at clinical trial stage, the ear-lens could soon be a common form of treatment for those with hearing problems. Essentially, it’s a transducer mounted on the eardrum that receives a laser signal from the external part of the aid mounted behind the ear. The transducer converts the laser signal into a physical vibration on the eardrum itself and has a much wider frequency range than many of the more conventional hearing devices. Within the next five to ten years, we might expect to see hearing aids that are fully implanted into the ear meaning the user won’t have to worry about taking it in or out or adjusting the settings. But how will it stay charged, you say? Well, these innovative devices will use inductive charging which quite literally means that the energy from the human body will be enough to keep it working – pretty cool, huh? It’s thought that somewhere down the line, hearing aids will be wirelessly connected to a wide range of audio devices thanks to digital wireless technology being imbedded into various household devices. If a television was transmitting its audio wirelessly, for instance, then a wireless receiver could be added to the hearing aid so that a hearing aid user can listen to television audio that is not subject to room vibration. On a similar note, hearing aid companies are already creating Bluetooth accessories that plug into a hearing aid’s direct audio input. These accessories provide wireless links between the hearing aid and cell phone devices making it easier for the user to hear what’s being said. Imagine a world where hearing aids are connected to your smartphone! Well, this might not be too far off as the idea is already floating around. If you need directions, for instance, you wouldn’t have to look at your map or phone to find out where to go as they could be spoken directly into your ear via your hearing device. Similarly if you got a call on your phone, it could be synched up with your hearing aid allowing you to hear the person speaking clearly. And this kind of tech is not exclusive to hearing aids only as it could work for other in-ear devices. Hearing aids for individual ears are often considered separate entities, but wireless technology will help hearing devices for the left and right ear become more synchronised. While this functionality has already been introduced into the industry with the synchronisation of volume controls, the process will become a lot smoother with a pair of hearing aids being considered a single system. With technology advancing at a rapid rate it seems anything is possible when it comes to the development of hearing technology – so watch this space.